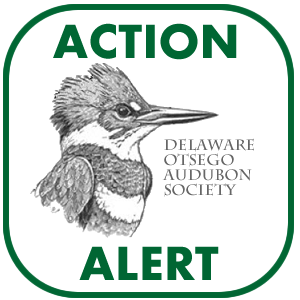 The Delaware-Otsego Audubon Society Inc. (DOAS) has been a Chapter of the National Audubon Society since 1977. Our mission is to educate, improve environmental quality, protect and maintain ecological systems and wisely utilize and conserve natural resources. 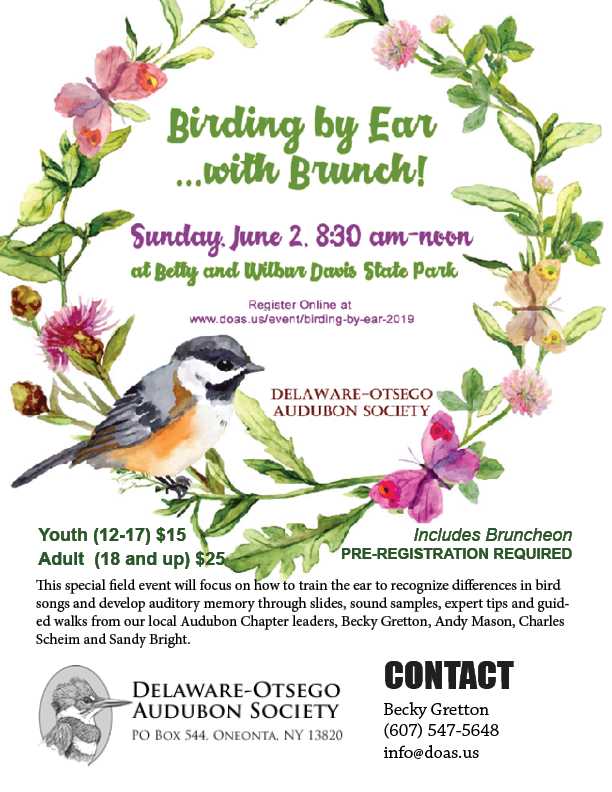 Early notice for special events and opportunities; Member discounts when possible. 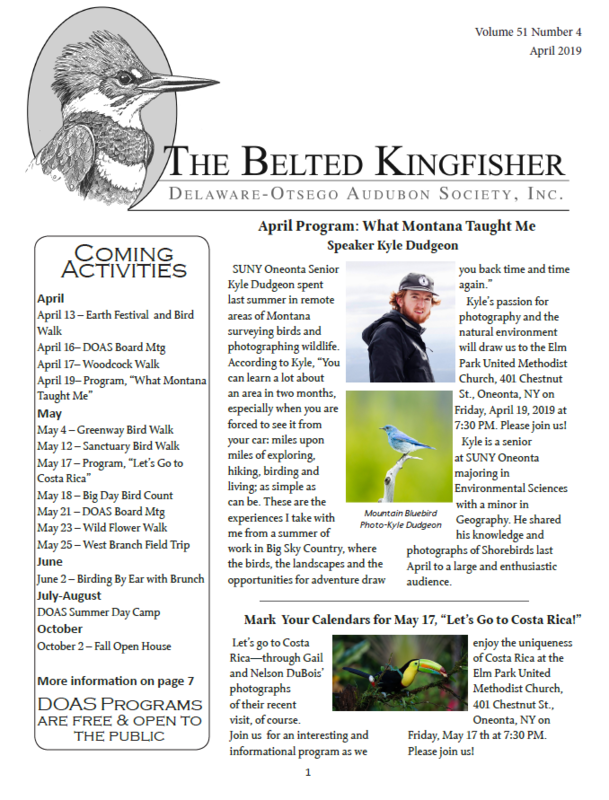 Subscribers to this list will receive announcements and news items from Delaware-Otsego Audubon Society. 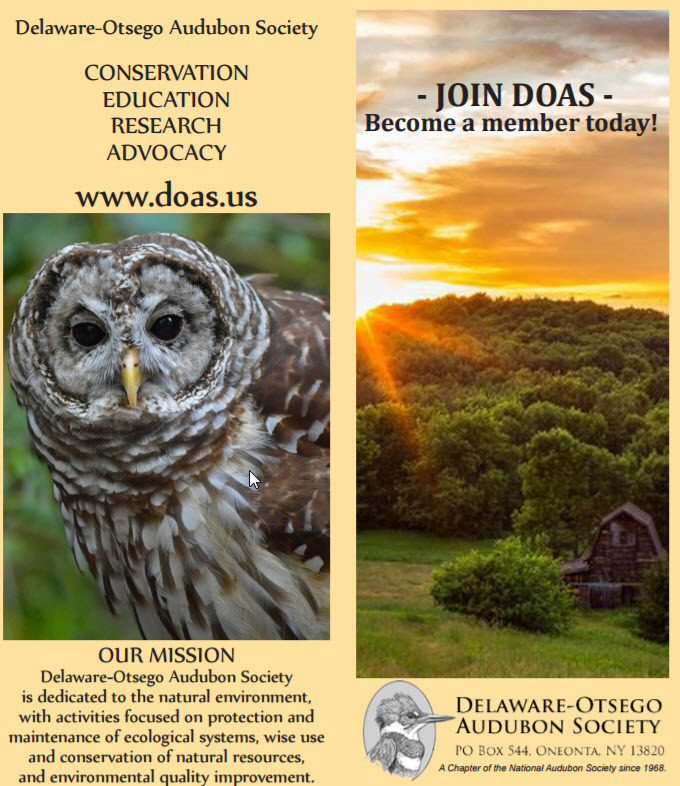 DOAS members who provide emails will automatically be subscribed to this list as well. If you no longer wish to receive these emails, please opt-out through the unsubscribe link at the bottom of emails. Our research with Golden Eagles led to our involvement in the initiative for promotion of the use of non-lead ammunition. 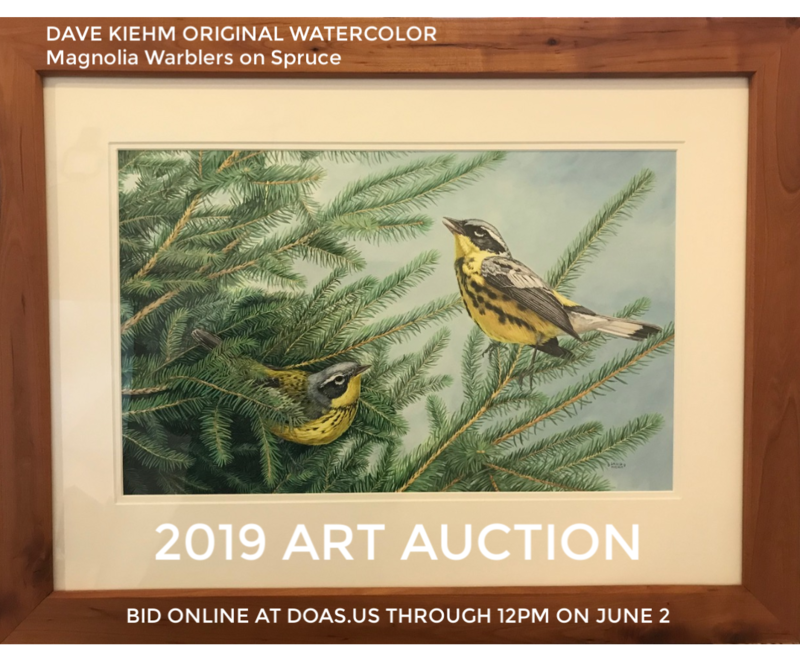 This video was made possible through a grant from the American Eagle Foundation as well as through dedicated private contributions. We are grateful for the outstanding support from all donors.